I offer a range of training courses and consulting covering UX research and the wider UX design process which can help us to transform UX research data into new and more relevant library services. We can learn a huge amount about how our users experience (and feel about) library services, spaces and products by adopting rich qualitative and quantitative research methods that come under the umbrella term ‘UX’ (User eXperience). Crucially UX research explores user behaviours and needs, not just what users say they want. In my User Experience research methods courses I show participants how to supplement data that libraries have always taken (footfall, loans, database usage) with a range of invaluable behavioural and attitudinal methods which study and explore the real activities and experiences of their users. Crucially these methods are easy-to-use and low cost too. User Experience Design is all about translating the data you have collected using UX research methods into new services and products to test. It involves mapping and analysing data, idea generation, and testing service prototypes. Too often we stop researching after we have collected data. We either don’t do anything with it or just solve the easier problems. If you adopt a wider UX design process, the UX research stage is merely a starting point that can lead to real service transformation. 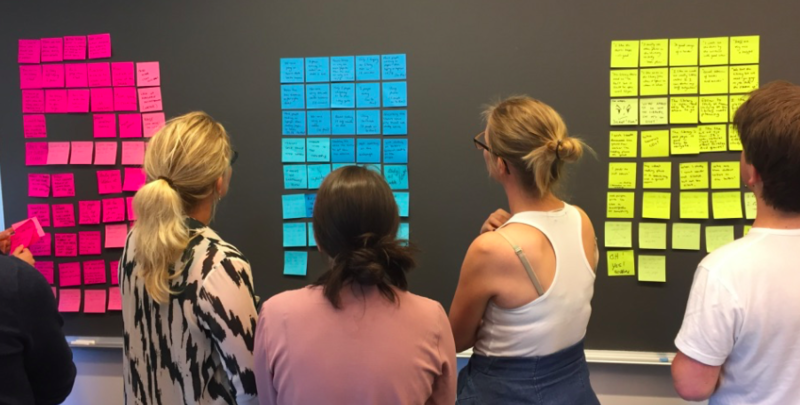 Typically I run intensive one, two or three-day courses on UX research and design which are highly practical and immersive. Follow-up courses (or second/third days of multi-day courses): In addition to the one day methods course, I offer fieldwork and UX design days during which library staff try out the methods in their own library under my direction with real library users and collect and map data with a view to improving services. These days allows participants to put their learning into action immediately, exposing them to tangible data and real opportunities for service design change. On these days participants also learn about how to embed a UX design process in their institutions by moving from UX research into idea generation and from there to prototyping and iteration of new services. Consulting: I am also open to the possibility of short-term consulting opportunities with a view to embedding user experience research and design methods in Higher Education and public library environments, building on the work I conducted within Cambridge University libraries between 2015-17 and more recent assignments in Singapore, Australia and the UK. I have presented these courses at Universities all around the UK (Wolverhampton, Surrey, Salford; House of Commons, Cranfield, Southampton, Bath Spa, Anglia Ruskin) and over the last year to librarians from different institutions in the following countries: Australia, Denmark, Ireland, Hong Kong, Netherlands, Norway, Singapore, South Africa and New Zealand. I have also delivered UX courses to public library staff in Ireland, the Netherlands and Australia. ‘Superb! I thought Andy was a warm, confident, humorous, and engaging speaker. UX in libraries is long overdue and I am delighted to see it now come to the forefront! !’; ‘Andy, thanks for a fabulous and thought provoking day of learning. Lots of practical stuff covered to put in our toolkits.’; ‘Awesome, full of energy and positive processes that I can take back and use.’; ‘Fantastic high energy creative and educational session. Top marks!!’. 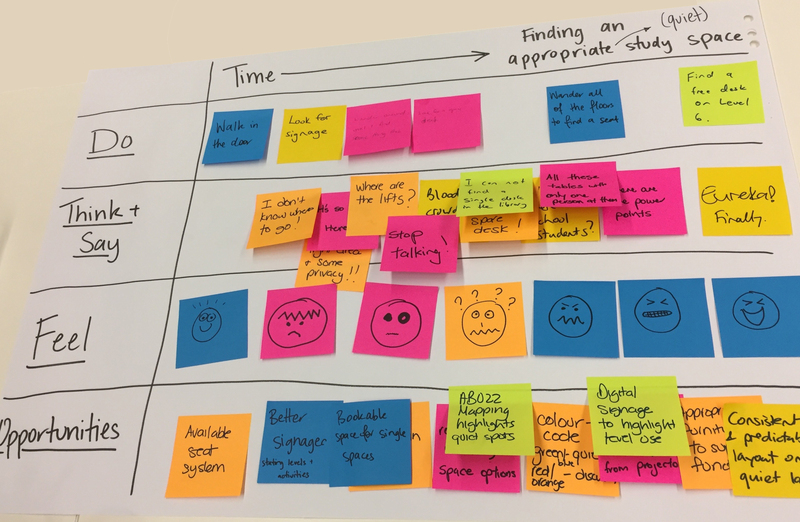 ‘A great way of sampling the UX methodologies’; ‘Lots of ideas to go and explore further. An engaging presenter with a good balance of interactive task ad presentations’. Email me to find out more about my UX days or to tailor an event to your specific needs.